Psychology is more than just debating Freudian theory or examining someone’s personality based on the results of an inkblot test. The study of mind and behavior plays a vital role in helping us understand how and why individuals and groups think and act the way they do, and according to USA Today, it’s one of the most popular college majors in the country. Whether you’re interested in studying intimate relationships, human sexuality, gender role development or any other exciting topic, we’ve found the 35 Best Psychology Programs in the United States. 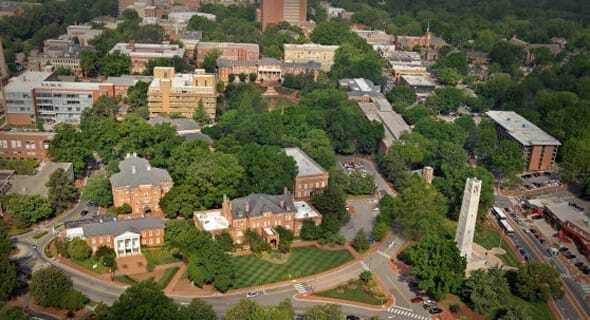 Taking into consideration acceptance rate*, tuition, undergraduate and graduate population, quality of the faculty, the universities as a whole and more, you really can’t go wrong with any of these options. Knowledge is power, and the folks at the North Carolina State University Psychology Department strive to share their knowledge of psychology with as many people as possible and in as many ways as possible. Whether it’s publishing the latest findings in a groundbreaking textbook, getting new students off to the right start, extensively training doctoral students or working with the local and national community, NC State will make all your psychology dreams come true. Whether it’s publishing the latest findings in a groundbreaking textbook or working with the local community, NC State will make all your psychology dreams come true. With more than 125 years under its belt, Indiana University’s Department of Psychological and Brain Sciences is a great way to kick off our list. 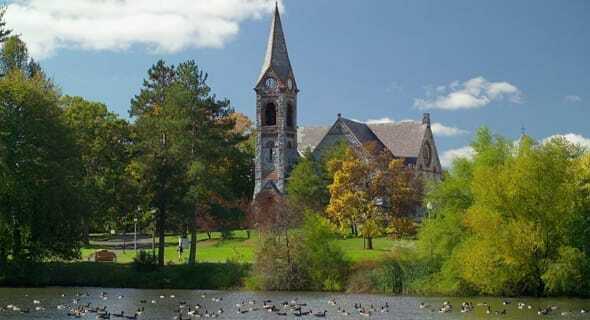 “Home to the oldest continuing psychology laboratory in America,” this program has made a lot of important advancements in the field since 1888. Indiana University’s Department of Psychological and Brain Sciences is home to the oldest continuing psychology laboratory in America. 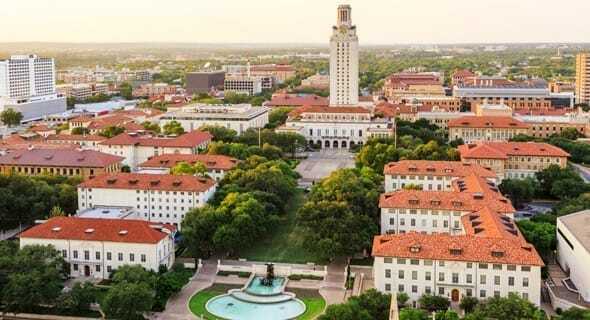 A pair of impressive longhorns will greet you when you land on the University of Texas at Austin Department of Psychology homepage, and that pretty much sums up the go-getter personality of this program and the amazing people behind it. Find your true passion by choosing from eight different areas of study, and maybe one day your work will be recognized on the awards page. You’ll definitely be in good company! The University of Texas at Austin’s Department of Psychology has a go-getter personality. 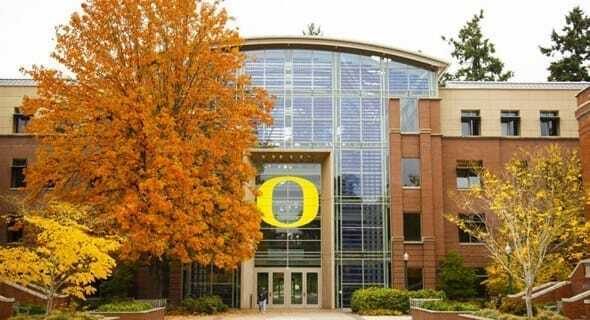 The Department of Psychology at the University of Oregon is as colorful as the school’s colors. From cortisol to mental health, no stone goes left unturned thanks to the well-rounded and highly esteemed scientists who dedicate their lives to producing cutting-edge research. The well-rounded and highly esteemed scientists at the University of Oregon dedicate their lives to producing cutting-edge research. Named after Louis D. Brandeis, Brandeis University and its Psychology Department certainly live up to the name by making sure generation after generation has the most important information (both past and present) right at their fingertips. 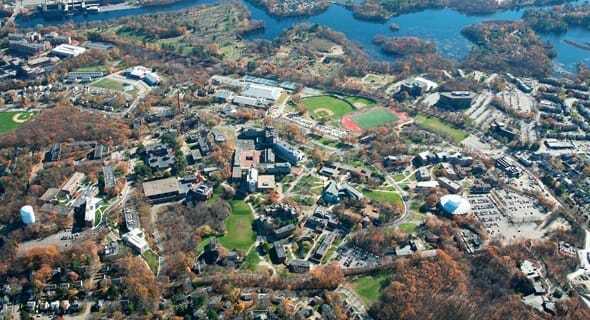 And with nine labs conducting innovative research, our lives are more enriched thanks to the psych experts at Brandeis. Brandeis University’s Psychology Department makes sure generation after generation has the most important information right at their fingertips. Not only does the Psychology Department at Michigan State University offer on- and off-campus undergrad and graduate programs that would suit the needs of any psychology lover, but the department also has a psychological clinic, which is run by Clinical Psychology graduate students and faculty, that provides high-quality psychotherapy services to adults, children, couples and families within the community. 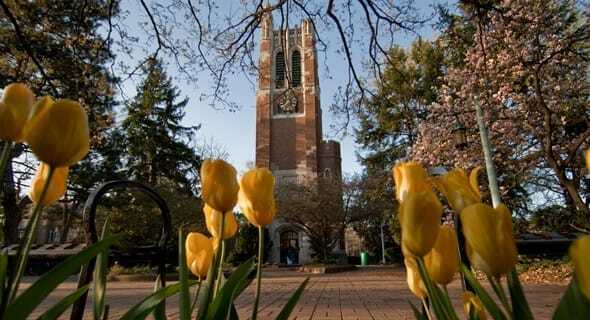 The Psychology Department at Michigan State University will suit the needs of any psychology lover. Whether you major or minor in psychology, you’ll be extremely happy with the psychology program at Vanderbilt University. The courses are challenging yet fun, the professors are passionate, the research is unparalleled and the campus is gorgeous. Could you ask for anything more? Whether you major or minor in psychology, you’ll be extremely happy with the psychology program at Vandy. 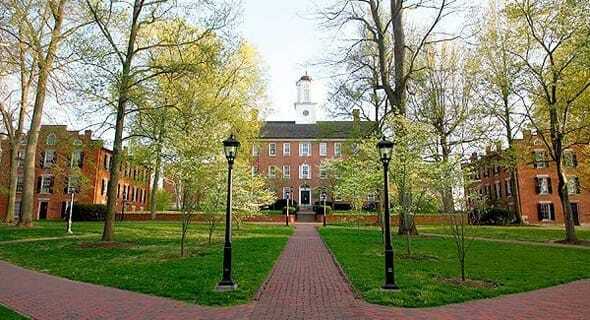 With three areas of focus (healthy psychology, intervention design and outcome evaluation, and social judgment and behavioral decision-making), the Ohio University Department of Psychology is a collaborative atmosphere that promotes imagination and experimentation, and at just $20,512 a year, it rarely gets better than this. 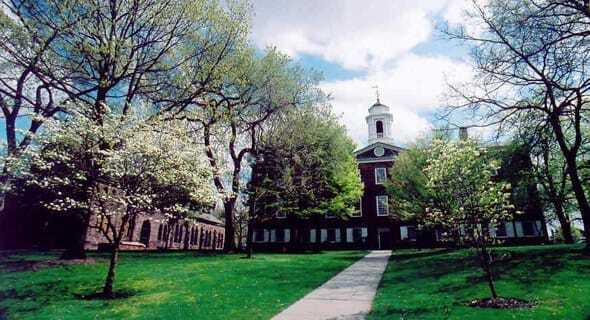 The Ohio University Department of Psychology is a collaborative atmosphere that encourages imagination. From expert clinical training and internships, to advanced research and hands-on student organizations, the UMass Amherst Department of Psychological and Brain Sciences holds itself to the highest standards in every area. The department also operates the Psychological Services Center (PSC), which has been an APA-accredited community health clinic since 1957. The UMass Amherst Department of Psychological and Brain Sciences holds itself to the highest standards. Consisting of a wide range of interesting courses (both undergrad and graduate), award-winning faculty, unbeatable research centers and more, the Rutgers University Psychology Program stands out from the crowd. And don’t forget about the 62.5 percent acceptance rate combined with affordable tuition prices! Consisting of a wide range of courses and award-winning faculty, the Rutgers University Psychology Program stands out from the crowd. 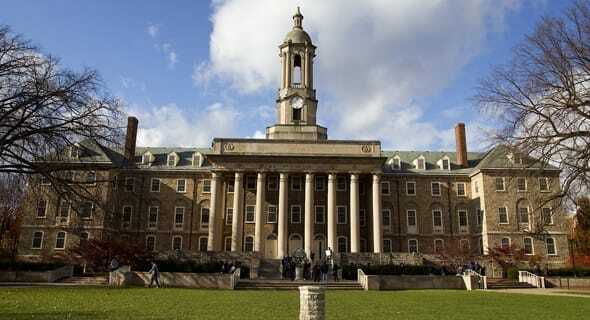 As one of the largest programs at Penn State, the Department of Psychology is an important facet of the school. With exciting research published on a regular basis, which undergrads can take part in, you can tell the people behind the curtain are committed to promoting education, awareness and diversity. As one of the largest programs at Penn State, the Department of Psychology is an important facet of the school. Psychology is one of the most sought-after majors at NYC, and it’s easy to see why. Not only does the department offer undergrad, graduate and doctoral degrees, but the faculty team has won several awards, such as the University’s Distinguished Teacher Medal. Research topics include everything from the “neural bases of perception and cognition to how goals, plans and motivations affect cognition and social interactions,” so those pursuing a successful scientific career won’t be disappointed here. 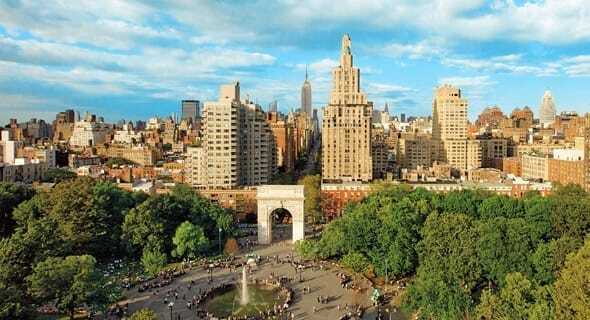 Psychology is one of the most sought-after majors at NYC, and it’s easy to see why. The Psychology and Neuroscience Department at Duke University has gone above and beyond what you would normally find in the field. Students have a variety of concentrations to choose from, and the faculty are there to assist and push them to their highest potential. Learning from experience is key in this department. 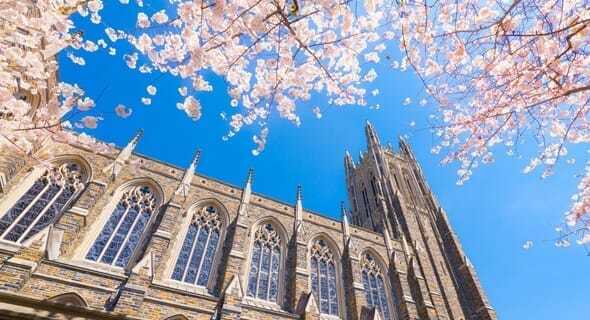 The Psychology and Neuroscience Department at Duke University has gone above and beyond what you would normally find in the field. Founded in 1909, the Department of Psychology at Northwestern University is one of the most distinguished programs in the U.S. With a focus on data analysis, new students receive a one of a kind intro into the world of psychology, while seasoned students are provided with a more in-depth look, making it a great choice for a variety of career trajectories. 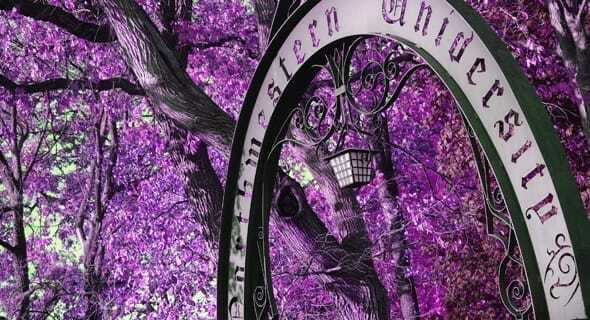 Founded in 1909, the Department of Psychology at Northwestern University is one of the most distinguished programs in the U.S.
Home to some of the most respected researchers and teachers in the industry, the Department of Psychological Sciences at Purdue University is internationally known and constantly listed among the top psychology programs in the country. Faculty members’ passions vary, and students are given the opportunity to learn about those passions and pursue their own on a daily basis. 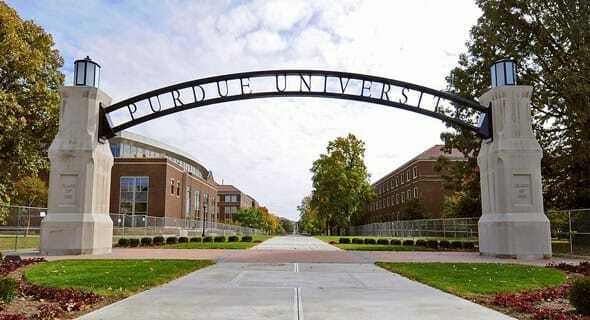 With a degree in psychology from Purdue, the world is your oyster. 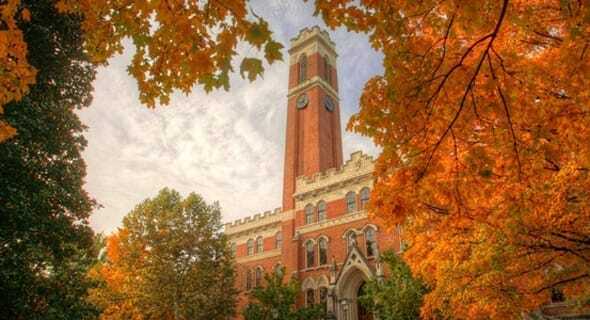 Home to some of the most respected researchers in the industry, the Department of Psychological Sciences at Purdue University is constantly listed among the top programs. The Psychology Department at the University of Washington is known for being a leader in biological, clinical, cognitive, developmental and social discoveries. Through original programs and research, faculty, staff and students are able to think about psychological issues in more critical and creative ways. 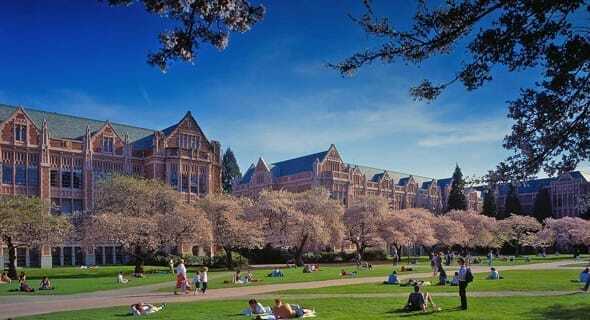 The Psychology Department at the University of Washington is known for being a leader in biological, clinical, cognitive, developmental and social discoveries. Formed in 2010, Brown’s Department of Cognitive, Linguistic & Psychological Science may be a new kid on the block, but that doesn’t make the program any less influential. Devoted to the all-around study of mind, brain, behavior and language, this department has definitely hit the ground running. Formed in 2010, Brown’s Department of Cognitive, Linguistic & Psychological Science may be a new kid on the block, but that doesn’t make the program any less influential. Bringing the worlds of neuroscience, biology and psychology together, MIT’s Department of Brain and Cognitive Sciences is at the forefront of studying both the brain and mind, including areas like neural and cognitive development, language and reasoning. Forty years ago, the program set out to use unique strategies to figure out the mystery that is the brain, and they’ve been setting the pace for everyone else ever since. 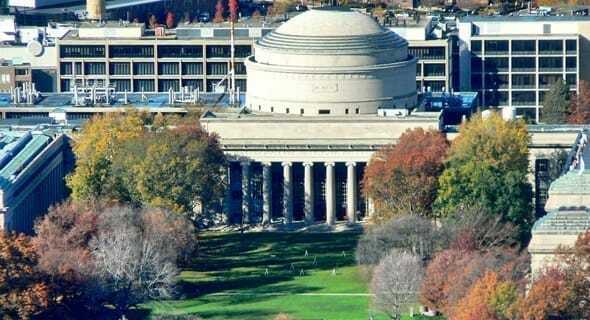 MIT’s Department of Brain and Cognitive Sciences is at the forefront of studying both the brain and mind. By providing students with a variety of areas to study, teaching them how to think critically, demonstrating how to communicate complicated findings, and showing them how to apply what they’ve learned to improve the lives of the people in Wisconsin, the U.S. and the world, the University of Wisconsin’s Department of Psychology is building generations of psychological scientists who can pass on new knowledge for decades to come. The University of Wisconsin’s Department of Psychology is building generations of psychological scientists who can pass on new knowledge for decades to come. “Stretch Your Mind; Question Everything” is the motto of Princeton University’s Department of Psychology, and they definitely do both of those things through a dedicated team of faculty and students who conduct revolutionary research and disseminate that work to the masses. “Stretch Your Mind; Question Everything” is the motto of Princeton University’s Department of Psychology. 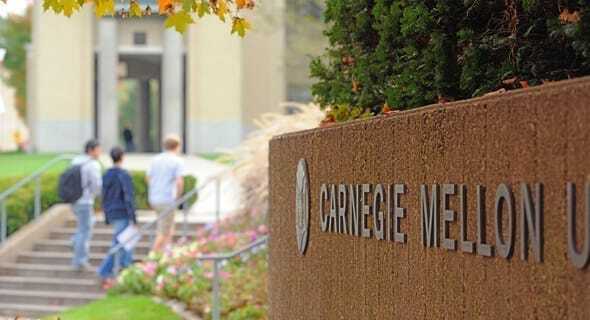 Carnegie Mellon University is located in the heart of Pittsburgh, so it’s only fitting that the school adage is “My heart is in the work.” The folks at the Department of Psychology certainly put their hearts into creating and applying new findings in the field. The folks at the Department of Cognitive Psychology & Neuroscience put their hearts into creating and applying new findings in the field. Nestled along the eastern edge of the Rocky Mountains is the University of Colorado at Boulder, and nestled on campus is the school’s Department of Psychology and Neuroscience. Originally connected to the Department of Education, the Department of Psychology became its own entity in 1922 and was renamed in 2008, expanding curriculum to include neuroscience and more. 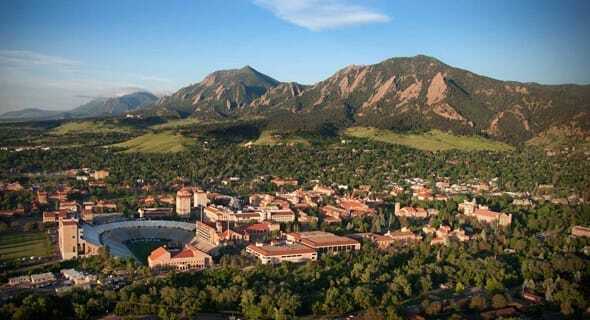 Nestled along the eastern edge of the Rocky Mountains is the University of Colorado at Boulder’s Department of Psychology and Neuroscience. 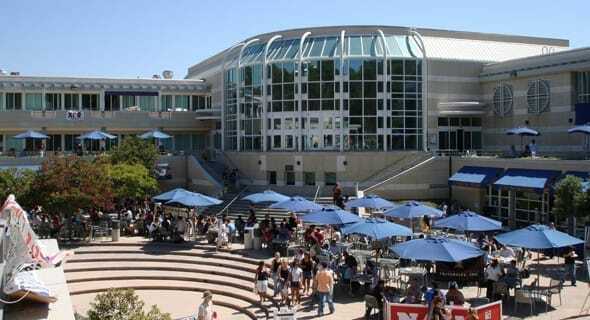 Established in 1965, The Department of Psychology at UC San Diego is one of the most prominent experimental psychology programs in the country, with its success largely coming from a strong belief in collaboration with other departments, including neuroscience and cognitive science. Thanks to a progressive attitude, faculty, staff and students are able to produce work that is changing the way we see psychology for the better. Established in 1965, The Department of Psychology at UC San Diego is one of the most prominent experimental psychology programs in the country. From the outset (more than 100 years to be exact), the University of Illinois’ psychology program has focused on excellence in every aspect, from facilities to faculty and beyond. Always on the front lines of cutting-edge research, the department provides a collaborative environment where students can go after their dreams with help from some of the brightest minds around. From the outset, the University of Illinois’ psychology program has focused on excellence in every aspect. 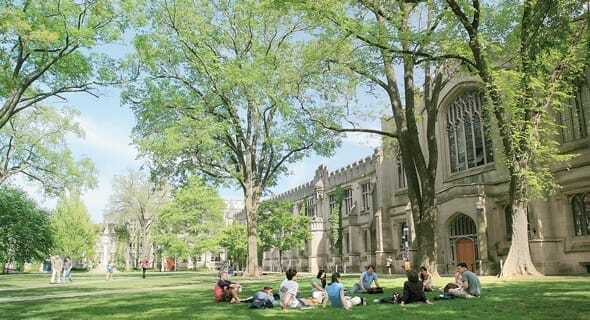 Since 1893, the Department of Psychology at the University of Chicago has been a pioneering hub for psychological research and teaching. 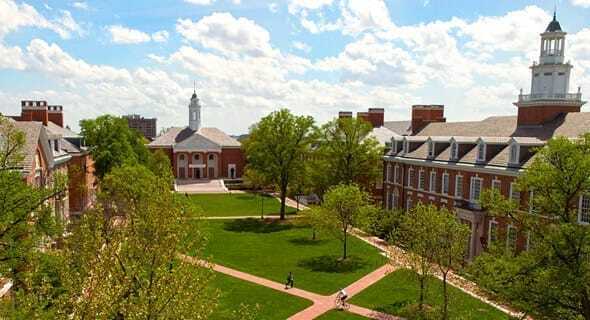 The first psychological laboratory in the U.S. was founded at Johns Hopkins University in 1883, and the program is still ranked as one of the best in the country and the world. With a focus on research and not clinical training, the Department of Psychological and Brain Sciences strives to find answers to the most fundamental questions of behavior, mind and brain. The school combines the best of both worlds — it’s small size gives faculty and students an intimate environment to work in, while the incomparable resources give it the feel of a major university. With a focus on research and not clinical training, the Department of Psychological and Brain Sciences strives to find answers to the most fundamental questions of behavior, mind and brain. 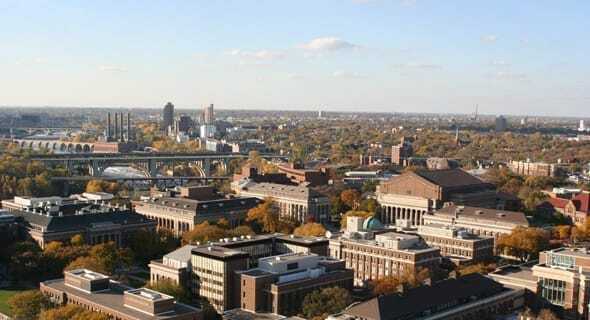 The Department of Psychology at the University of Minnesota has an electrifying intellectual presence and exceptional research opportunities, and its mission has always been to make significant contributions to the field, provide in-depth training for future generations and be a leader in the profession. 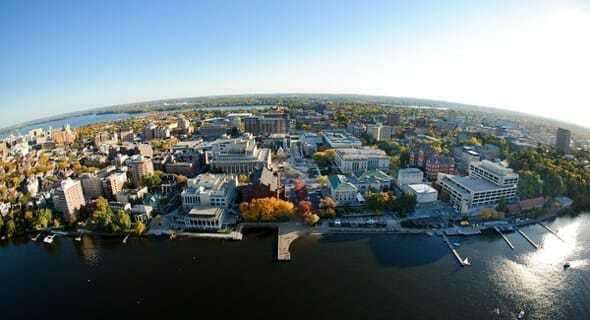 The Department of Psychology at the University of Minnesota has an electrifying intellectual presence and exceptional research opportunities. Consistently named one of the best psych programs in the country, the University of Michigan’s Department of Psychology has to stay on top of its game, and the hardworking faculty, staff and students make sure of that. Recognized for contributions in and out of the classroom, this is probably the most productive department in the industry. 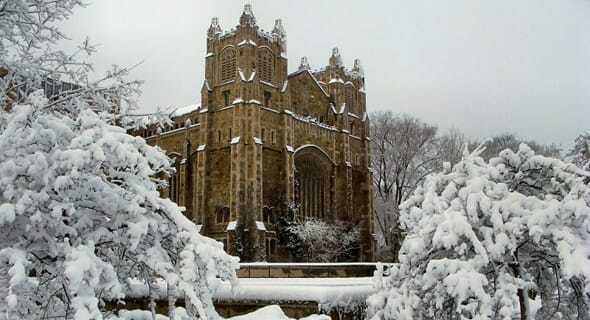 The University of Michigan’s Department of Psychology is consistently named one of the best programs around. While the goal of psychology is to interpret and anticipate the behavior of living organisms, the goal of UC Berkely’s Psychology Department is to cultivate “methodological, statistical and critical thinking skills” that can be used in every area of the field. Through five organized research groups, as well as top-level undergrad, graduate and exchange programs, the team is able to do that very successfully. 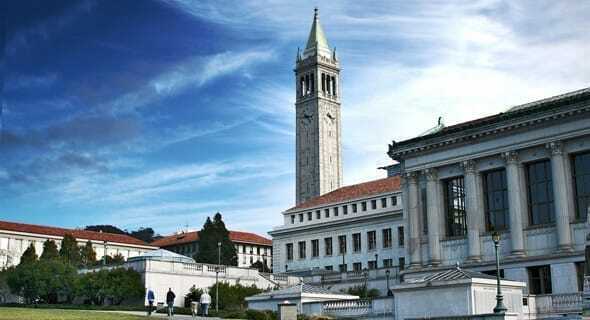 The goal of UC Berkely’s Psychology Department is to cultivate “methodological, statistical and critical thinking skills” that can be used in every area of the field. 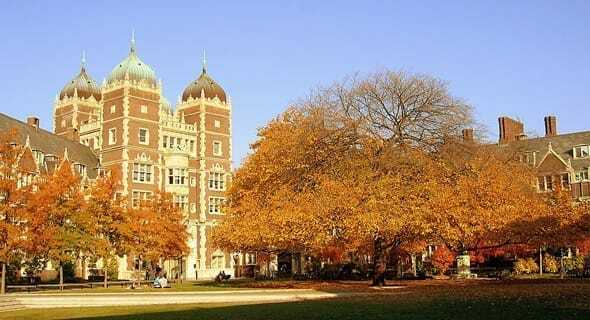 As the oldest continuously functioning psychology department in North America, the Department of Psychology at the University of Pennsylvania has a rich history that few programs have, including a graduate program that has produced several of today’s leading psychological scientists. With both scientific accuracy and practical application at the core of the department, faculty, staff and students aim to solve the puzzle that is psychology. As the oldest continuously functioning psychology department in North America, the Department of Psychology at the University of Pennsylvania has a rich history that few programs have. What started as a discipline of study at Columbia University in 1890 has now become one of the most influential psychology programs ever. 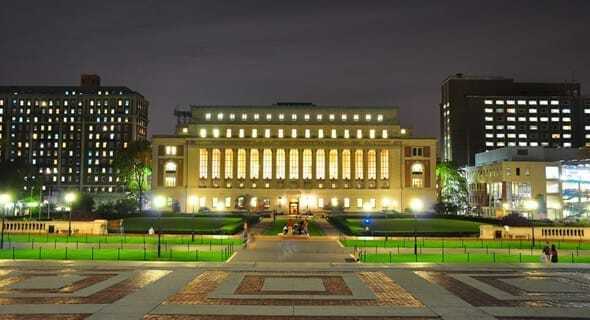 Columbia’s Psychology Department has more acclaimed faculty and graduate students than many programs twice its size, but perhaps one of the most impressive aspects of the department is the Postbaccalaureate Program, which helps students who’ve majored in other fields apply to graduate programs in psychology. What started as a discipline of study at Columbia University in 1890 has now become has become one of the most influential psychology programs ever. If being a leader in psychology since the 1800s doesn’t impress you, we’re not sure what will. Harvard’s Department of Psychology is one of the most beloved departments at the university, with past faculty members and researchers including famous names like B.F. Skinner, Gordon Allport and Jerome Bruner. 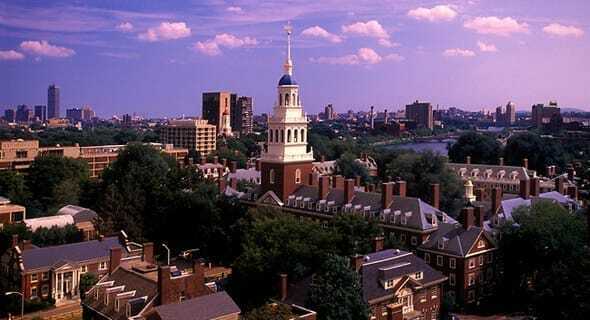 Harvard’s Department of Psychology is one of the most beloved departments at the university, with past faculty members and researchers including famous names like B.F. Skinner, Gordon Allport and Jerome Bruner. Yale University is one of the most renowned universities in the world, and its Department of Psychology deserves just as much recognition. With five programs (clinical psychology, cognitive psychology, developmental psychology, social psychology and neuroscience), four research centers, eight research groups and a department clinic, the Yale Psychology program is one in a million. 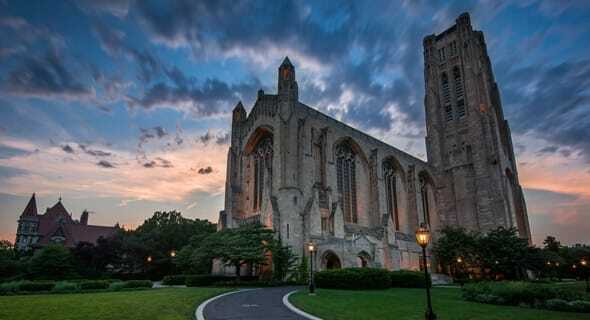 Yale University is one of the most renowned universities in the world, and its Department of Psychology deserves just as much recognition. Stanford University’s Psychology Department is one of the most modern around, and the research is making a real impact on the world. The department provides the highest quality undergraduate program, as well as a graduate program that focuses on research training, and truly values its connections to other parts of the university, including biology, medicine, law and the graduate school of business. 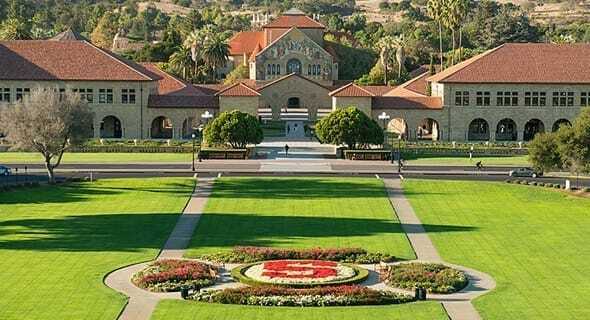 Stanford University’s Psychology Department is one of the most modern around, and the research is making a real impact on the world. We’ve reached our #1 Best Psychology Program in the U.S., and it’s none other than Cornell University. Specializing in behavioral and evolutionary neuroscience, perception, cognition and development, and social and personality psychology, the Psychology Department at Cornell looks at the subject as an experimental science. Not only do faculty members and students have easy access to other disciplines like biology and human ecology, but the resources are like no other, including 11 research labs, one of the largest university supercomputer complexes in the country, a superior library system, a talented support staff and more. Specializing in behavioral and evolutionary neuroscience, perception, cognition and development, and social and personality psychology, the Psychology Department at Cornell looks at the subject as an experimental science. We spoke with Melissa J. Ferguson, Director of Undergraduate Studies, who said Cornell’s psychology program got where it is today thanks to the dedication of the entire faculty. She added that one of the team’s proudest accomplishments is being #1 nationwide in baccalaureate origins of Ph.D.s in psychology while being the smallest department in the Ivy league. This goes to show they truly devote a large portion of their time to training and teaching undergraduates.